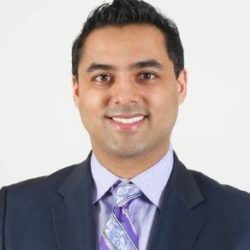 Azim Lila is a strategic digital technology professional with 15 years of experience in various technology and operation roles within the Royal Bank of Canada, President’s Choice Financial, United Nations and CIBC. Azim has lived, worked and studies in over 4 continents including Europe, Africa, Asia and North America. He completed his Double Masters of Science from the London School of Economics and Beijing University with a focus on International Political Economy and International Affairs. He holds an M.A with a focus on human rights for persons with disabilities and an undergraduate degree in administrative studies from York University. In his spare time, he enjoys yoga, camping and reading. Alex Petrovic has over 20 years of experience in the financial services industry holding progressively senior roles at State Street Bank, Financial Models Company, Mackenzie Financial, CIBC and TD Bank. As a Vice President, Process Simplification Office and Head of Enterprise Digitization & Automation, Alex is responsible for enterprise-wide transformation program related to simplifying the Bank. This includes an overall accountability for Digitization and Automation strategy and execution, as well as enablement of the E2E Customer Journeys Transformation and stand up of other significant transformation efforts. Prior leadership roles included Head of Enterprise Data Technology, Head of Capital Markets Business Architecture and Data & Analytics, and various Capital Markets technology CIO-level roles. Alex has completed Level 1 of the Chartered Financial Analyst (CFA) Program, Project Management Professional (PMP) program, and holds a B.Sc. in Business Operations, an MBA from Rotman School of Management at the University of Toronto as well as Global Professional Master of Laws (GPLLM) from University of Toronto. Jance is a FCPA, FCGA, LPA, CFP, C.Dir, ACCA (UK) and focuses on the following areas of practice, corporate: Audit, Review & Compilation Engagements, Tax Planning, Controllership, Advising various levels of management; Tax Advisory: Tax Planning, Negotiating and dealing with various issues with CRA, SRED, rollovers, and various tax issues. Janice previous career as a business auditor for Canada Revenue Agency and currently lectures Taxation, Auditing and Financial Accounting for Humber College. She received her Chartered Director designation from the Directors College and McMaster University in 2012. 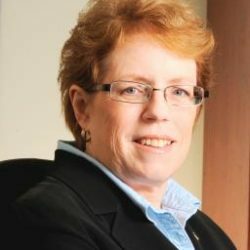 She served as director for CGA Ontario, being Chair of the Board in 2012-2013. Christina Fung is an executive in CGI, one of the largest IT and business consulting firms in the world, with more than 20 years of financial services and IT experiences and held various management and executive positions throughout her career. Christina is currently the Head of Products in Global Wealth & Capital Markets in CGI, managing the product vision, strategy and engineering of 8 solutions, with clients across Canada, US and Europe. She provides strategic guidance and business advice to her clients and in her organization. She is also a board member of the Oakville Symphony Youth Orchestra and a member in the Industry Council of NPower (Non-profit). Christina moved to Canada from Hong Kong as an immigrant in 1991. She completed her high school and university in Ontario and decided to build her career and family in Canada, where she is very proud of. She lives in Mississauga with her husband and 2 multiracial teenagers. Victor Tung joined BMO in 2012. 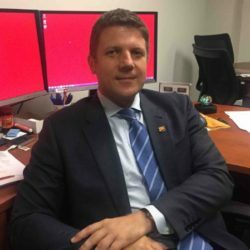 He is the Chief Information Officer of Corporate & International for BMO Financial Group, responsible for the technology solutions delivery for Human Resources, Marketing, Cyber Security, Legal, Compliance, Procurement, AML, Corporate and International Technology. Victor also provides horizontal services including business management, and he is the first line of defense for all technology. Victor is a Certified Information Security Auditor. He earned a HBA in Economics/Public Policy, a MSC in Computer Science, an Executive MBA from the Rotman School of Business and a Master of Laws from the University of Toronto. Recently, Victor has been named one of Canada’s Top 40 Under 40 ® for 2018, an annual recognition of the exceptional achievements of 40 outstanding Canadian young business leaders under the age of 40. 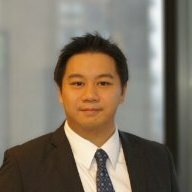 Chiu Yen Yeh joined Sun Life as AVP of Accounting Advisory in 2016, responsible for implementing new IFRS standards and provide accounting advice on complex transactions, including acquisitions, capital and tax initiatives. She is a proven strategic thinker with an aptitude with identifying and analyzing and resolving complex problems with multiple constraints. Previous to her role with Sun Life, Chiu Yen worked in the Office of the Chief Accountant at the Ontario Securities Commission. Chiu Yen also served a Senior Manager in KPMG’s Department of Professional Practice and Accounting Advisory Services where she provided technical accounting support to KPMG professionals assisting clients reporting under IFRS. She also advises numerous public companies on complex accounting issues. Ria Madan is a legal professional specializing in commercial law and contracts. She brings her 18 years of global experience having worked people with diverse cultural backgrounds to build relationships and develop a collaborative safe work environment where individual team members get an opportunity to explore and reach their optimum potential while achieving a common goal. She also takes a pragmatic approach in her negotiations with clients and vendors to ensure that it is a win-win outcome for both parties. Ria earned her B.A. (English Hons.) and her law degree from the University of Calcutta – India. She was called to the Bar in India in 2000 and the Ontario Bar in 2014. She worked for top law firms and multinational corporations such as DHL, HSBC, Rogers, Accenture and Manulife both in India and Canada. Ria is currently Director -Vendor and Contract Management at Manulife. In addition, Ria has also obtained certificates as Certified Information Privacy Professional (CIPP/C) and Certified Information Privacy Technologies (CIPT). Ria is very committed and passionate about “paying-it-forward. She has been involved with the Toronto Region Immigrant Employment Council (TRIEC) for the past 10 years. She started her association with TRIEC as a mentee and then went to volunteer as a mentor and the employer co-ordinator at Accenture. Ria continues to volunteer with TRIEC at Manulife and is involved in other social responsibility initiatives. She also served on the Board of Peel HIV/AIDS Network (PHAN) for two years from 2014-2016. She was the Vice Chair for one year on the PHAN Board. Ria is married to Neville for almost 30 years and has one son Eric. In her spare time, she loves travelling and exploring new cultures. Madalina Toca is currently Legal Counsel at Grand Challenges Canada, where she is responsible for governance negotiation and execution of Transition to Scale investment and seed grant transactions. Her prior experience includes time spent as in-house counsel at a public financial technology company, advising on issues related to privacy, technology and intellectual property, as well as experience in private practice centered on health law and civil litigation. In addition, Maddy has focused on gender equality and socio-economic rights issues in various roles, including working with the Adviser on Human Trafficking at the UN Office of the High Commissioner for Human Rights in Geneva. Maddy holds a B.A. (Honours) from McGill University, and a J.D. from Queen’s University, where her team placed second in the Wilson Moot, a national moot court competition devoted to equality law and the Canadian Charter of Rights and Freedoms. She is called to the Bar of Ontario. Nicole Pitt is Senior Manager, Facilitation & Program Delivery at the Niagara Institute, where she is responsible for program delivery, facilitation and overall quality assurance of custom, public and professional development programs, products and services. With over 15 years of experience in the field, Nicole brings deep expertise in corporate learning and leadership development. She is an extremely enthusiastic learning & development professional who always strives to find innovative ways of designing programmes and brings perspective and experience to her work with individuals, leaders and teams. With her characteristic balance of dynamism and passion, Nicole inspires leaders and their people to take personal accountability for their performance by translating the learning concepts into simple actionable strategies to be put into practice immediately. Nicole holds a BA in English and a Post Graduate Diploma in Education from the University of the West Indies, Jamaica; and a Master of Arts Degree in English Language Teaching for Specific Purposes from the University of Warwick, UK. Continuously focused on developing and supporting leaders, Nicole received her Graduate Certificate in Executive and Professional Coaching from the University of Texas at Dallas and achieved the designation of Associate Certified Coach (ACC®) through the International Coach Federation (ICF™). Nicole is also a Facet5 Certified Practitioner. Originally from Jamaica, Nicole has lived in 5 other countries prior to relocating to Toronto in June 2014. These experiences have helped shaped her into the unique individual that she is. As a passionate traveller, Nicole hopes to visit 100 different countries in her lifetime. Vijay Dhayaleeswaran has over 17 years of experience in the IT industry as an experienced executive and thought leader providing IT and Consulting services to Financial Services clients. He is a trusted advisor and partner to the C-Suite and executives to provide solutions, create roadmaps for organizational strategic initiatives. Vijay has managed multiple large client accounts as a Client Partner and Account Director with responsibilities like Client relationship, accounts’ P&L management, Delivery Oversight, Project Portfolio Management, Business development and team management. He has built, expanded and managed client account portfolios in various geographies. Currently, at Accenture, Vijay is a Senior Technology Account Executive for Financial Services focusing on Insurance clients. In this role, he consults with clients to understand their IT objectives, roadmap, initiatives, pain points, bringing new ideas, innovative concepts and be the trusted partner for their technology service needs. Prior to that, he was with Cognizant for about 16 years where he played various roles through the years, a recent one being a Client Partner and Account Director for multiple Insurance client accounts in Canada. 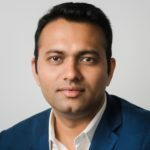 Vijay is globally experienced (Canada, USA and India) with extensive experience in global delivery models having led teams of over 500 members across various geographies. He has won and led multiple large scale Application development, Maintenance, Testing, Data, Digital transformation, Application rationalization/optimization and modernization project and programs, and spend optimizations initiatives. Vijay is a Bachelors of Engineering in Computer Science graduate from India and holds PMP, CSM, SAFe Agilist, ALMI, ACS-Life, ACS-Reinsurance Certifications. He lives in GTA with his wife and 2 boys. Vijay actively mentors youth as well as experienced professionals in their careers. He is an amateur Golfer and a pro-am Photographer. Claire Smith-Victor is a Career Counselor at the University of Toronto, Mississauga. In her role, she supports students through their academic journey and as they successfully transition to graduate school or employment. Before joining UTM, she worked as a sessional Professor at George Brown College. Claire has spent the majority of her career working overseas in Nigeria, St. Lucia and most recently the United Arab Emirates. While in the UAE, she introduced and coordinated career development and employment preparation programs primarily with female students. Many programs were designed to assist young female graduates successfully transition to and function in, the workplace. She is passionate about supporting women and girls to live their best lives. Claire holds a Bachelor of Education (OCT) and Bachelor of Arts from the University of Windsor and a Master’s of Education from Ottawa University. She is CELTA certified from the University of Cambridge, England and is certified to administer and interpret Myers Briggs and Personality Dimensions (level 1) assessments. She has served as a Mentor with CultureLink and volunteered with the New Comer Center at the YMCA facilitating job search workshops. She has volunteered with Luminato for the past five years and plans to continue in the future. Claire believes anything is possible with preparation. This belief enabled her to complete the Annapurna Sanctuary Trek in Nepal and climb to Uhura peak, the top of Mount Kilimanjaro.